If you're not familiar with H.P. 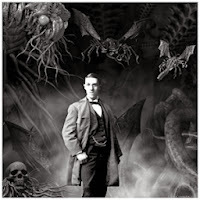 Lovecraft and his racist yet awesome short stories and novella, then by all means, this post isn't for you, and also: Where the hell have you been? Seriously? 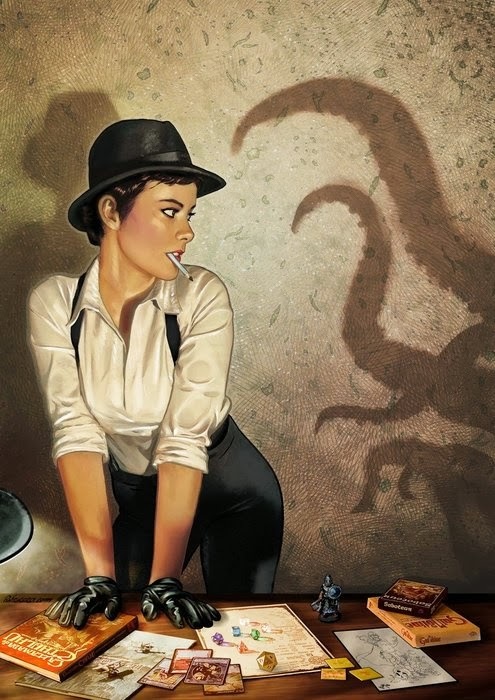 For the rest of us sane people who give a nod to one of the biggest names in horror, you'll also likely know that role playing in Lovecraft's fiction has gone through several incarnations since it's original inception as Call of Cthulhu published in 1981. This game used the basic premise of the horror of Lovecraft's world, specifically that of Cthulhu, and combined role playing in the 20's. I own (of course) and have played Call of Cthulhu, the newest edition of which has you playing investigators using percentiles to determine if you do or don't succeed at your actions. As some of you may know, there aren't many percentile games I like, or even love, Maschine Zeit being the great exception. Call of Cthulhu (CoC) is not a great exception. I found it clunky and a little backwards. 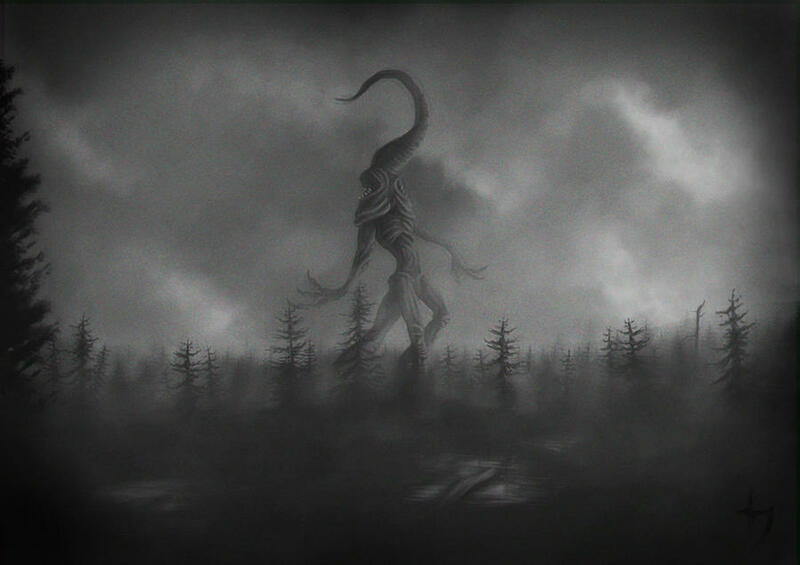 Now-a-days, the lucky role players of today have the choice between Call of Cthulhu and Trail of Cthulhu, published in 2008 by Kenneth Hite and Robin Laws. I'm going to add a quick note here that I love Robin Laws and will forever jump to play anything he's written. Even Rune. ToC is based on the Gum Shoe system written by Robin Laws, while the rule book and place setting is written beautifully and expertly by Hite. Purists have the option of ignoring a number of things, all of which are designated by a neat little symbol. Pulpists have the choice to use all or some of the options in the book, including extra rules for Purists vs Pulpists, like a more limited health, stability, and sanity pool for purist mode. If you're not familiar with Gum Shoe, it's a fast and easy system using a skill pool which you can use points from to increase your chance of success on a D6. Basically my character, Rose Smith con artist extraordinaire, has 9 points in Scuffling. She goes to whack Horace "Diamond" Walsh in the face after he threatens her with consequences from Dagon. I pick up a d6, look at Erik, my GM, and go "I'm adding two points." I now have 7 points left over in my Scuffling pool. I roll my d6. I roll a 1 (as always happens. See my post on dice anxiety). My total is a 3. Erik makes a face at me and rolls for Horace Walsh, who naturally succeeds. I have failed first, so he wins the round and I get a good smack from the lantern he's carrying. Poor Rose. ^ That is a really basic summary of the skill pools and the combat system. There's more to it than that, obviously, but it's the easiest way to explain it in one paragraph. You whittle away at your skill pool until it's empty and then you just roll the d6 with no added numbers. Once you've finished an investigation, everything replenishes, except your sanity. That stays hurt. This means the more you go about doing in terms of dice rolling, the more likely it is it'll be difficult to succeed later, which really encourages the keening desperation that all Cthulhu games -must- have. 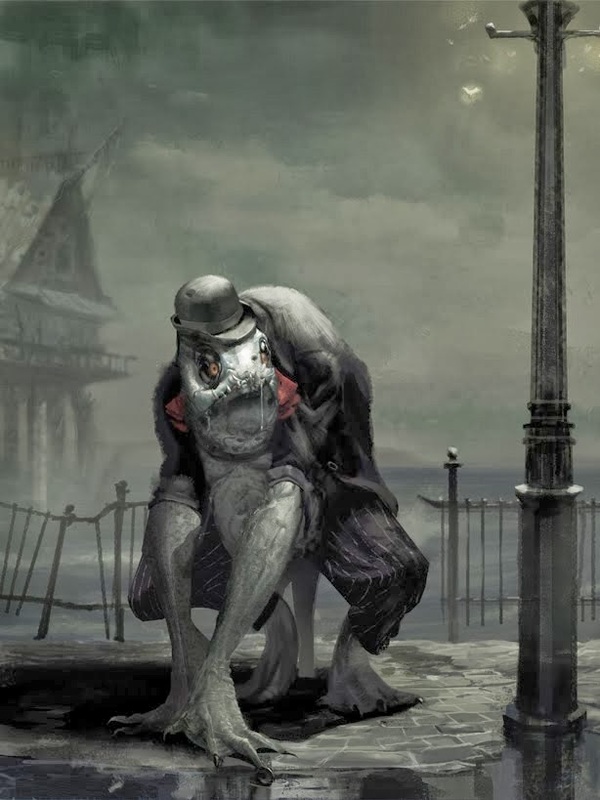 If your investigators aren't shitting bricks when a deep one appears, you're doing it wrong. Another thing I absolutely adore about ToC is stability vs sanity. In CoC you have your sanity pool and that's it. In Trail, you have stability, which takes a hit whenever -anything- traumatic happens. Your wife leaves you, you see a dead body, you see a deep one, your best friend is a murderer... anything that's going to affect your emotional and mental stability, is, well, stability. Anything that will permanently unhinge your mind, like reading The Tears of Azathoth, or opening the Red Box of Leng, or having tea with Nyarlathotep will ding your sanity and give you Cthulhu mythos as a skill. Once sanity is lost, it's lost forever. Stability can be regained through spending time with your sources of stability (Rose's are the bag lady she pays for information [now deceased], the fence she works with, and Dr Ephraim Sprague, the alcoholic doctor). Now let's talk about what I really want to discuss: The Armitage Files by Robin Laws. Oh. My. God. This game is beautiful. It's the best use of 40 bucks I've had in gaming in a long, long time. It's a play setting, sure. But the replayability is through the ceiling. I'm currently playing in an Armitage Files game that Erik is running, and I'm also running a game of it with five friends, all of which are experienced gamers. So I have the view of this game from the point of view of a GM and as a player. The Armitage Files works on the premise that all the survivors of the Lovecraft stories have gotten together (elitist professors that they are) and formed the Armitage Inquiry, headed, of course, by Henry Armitage of Dunwich fame. The list of those in the Inquiry is found in the back of Trail of Cthulhu, and lists such awesome people as William Dyer, Nathaniel Peaselee, Henry Armitage, amongst others. These clever chaps (all save the "money" are male) now hire out or recruit young and capable (or not) investigators to look into some strange goings ons in Arkham and surrounding areas. It's important to note that ToC takes place after all the Lovecraft writings in the 30's, so that everything horrible has already happened and new horrible things are happening now. In the Armitage Files, strange and mysterious documents (or, uhm, files, if you will) appear suddenly and apparently from the future. You, the investigators, are tasked with understanding the bizarre and horrific events these documents predict, and if you can, stopping them from coming to fruition. The game works, as the GM, on an epically awesome premise: that everything in the setting is changeable. 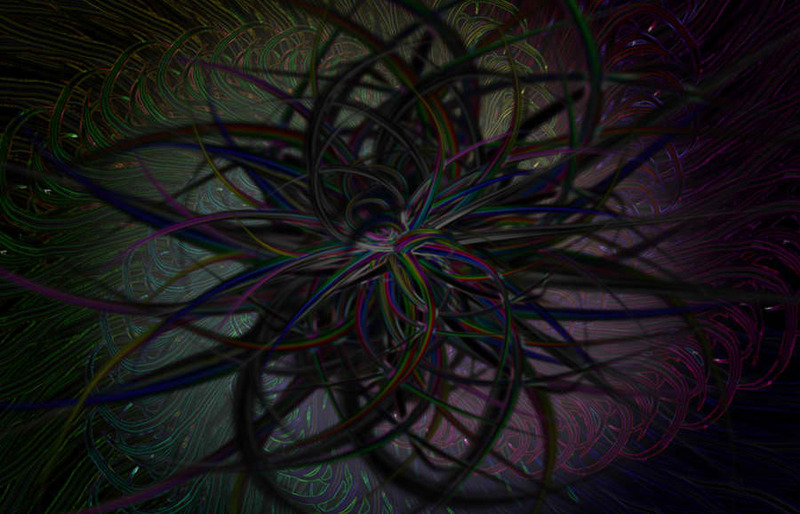 Each place, person, and society has three modes: innocuous, stalwart, or sinister. Depending on what the investigators do, or respond to them, an NPC in one game will be a good guy, a bad guy, or just a regular old person. It means that every time you run the game, it's different. As a GM, my players have already gone in wildly different directions than we went in the game I'm playing in. In my run game, I'm at document 3. In the game I'm playing, we're just hitting document 7. Worlds apart and yet similar. The playset comes with a 1930's Arkham, complete with NPCs, societies, places, and the documents 1 -10, as well as the document keys that show where each information lies. Each person/place/thing has three possibilities, as well as alternate looks, names, and information so you can create more than one of them on the fly. The Armitage Files provides everything you need to hit the ground running with an epic campaign that will keep your investigators on the edge of their seats, provide an amazing story, and in the end, you can play it again and have a different story all together. Did I mention I'm in love with Trail of Cthulhu and Armitage Files? It's been a long time since I've loved a game this much. The last time I was this excited to play a game... well, let's just say it's been awhile. I love the way ToC has scenes instead of a continuing narrative, that actually encourages the group to not always be together. I love that the sanity never recovers. I love that there's stability and then sanity and how those two work. I love everything about the Armitage Files. Gm Work: Decent. You need to read the book. More prep is required in ToC than in Armitage, but you should be familiar with the content of ToC when running Armitage. It takes me about an hour or two to prep for one document. Materials: Character sheets. Documents. Map (if you like). Feel: Pulpy. Purist. Frightening. Grotesque. Rating: 5/5 Stars. I <3 This Game.